Apologies in advance for mentioning the big bad C word in September but if you don’t want to be running around like a headless chicken and draining your bank balance in December now is the best time to start thinking about it. For me; December through to February is not only the busiest time of year, it is without doubt the most expensive. With not only Christmas in the middle but three small people’s birthday’s thrown in too. I planned it well I know. I have had many years where I have been last minute shopping and abusing my credit cards just to make it through to the other side – it’s not nice. Many of us can get into such a pickle around Christmas time, stretching ourselves too far and spending too much. It’s just not worth it. This year I am getting myself sorted nice and early so I can enjoy the festivites with my family without worry. 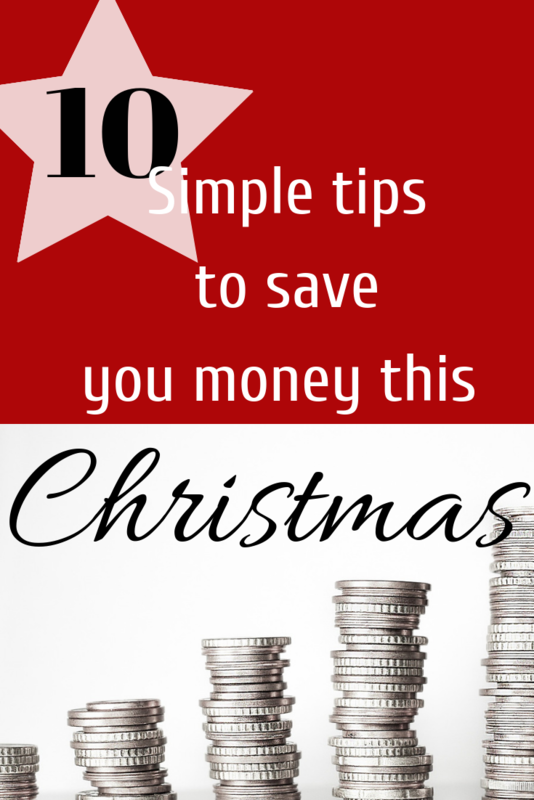 These are my 10 simple tips to save you money this Christmas. Try and figure out early what the children want, or what the must have gifts are going to be. Check out the brand new Smyths catalogue for an idea. It gives you a goal of what you’re saving for and you can pre order if you know it will be popular. See something the kids will love whilst in town and want to treat them? Grab it but put it away for Christmas. I am guilty of finding this tough and always letting the kids have bits early but then it comes to Christmas and I don’t know what to buy! Grab a tin of quality street to put away or an extra bottle of wine in the weekly shop. Come December you’ll have a great stock pile. Also check out my blog post about how to save money on your weekly food shop. Remember it’s not all about stuff! Again I am guilty of wanting the girls to have the most magical Christmas and feel mega spoiled. But as they get older I realise the family time and memories are so much more important. Board games and DVD’s are great gifts you can all enjoy together and are usually on offer. Boots advantage points are amazing in the run up to Christmas, not only do they have fantastic 3 for 2 deals on but you can use your points to pay! Sainsbury’s are also great to save up through the year. They’ll start being advertised soon so get them in the diary, fun festive days don’t need to cost a fortune. We love Christmas fairs and winter walks. Like most I feel the need to buy a little something for everyone at Christmas and it soon gets out of hand, consider home made gifts like biscuits or fudge for extended friends and family. Check out Pinterest from some great idea’s. The time and effort will be so much more appreciated. Especially if you have a big family think about doing a fun secret Santa, set a budget and everyone gets one really nice gift. It makes it so much more fun. Start putting all your change in a Christmas pot. 20p here 50p there soon adds up it might even cover the cost of the Turkey! Of corse something we all want to do, yet we don’t all have time to pick up and extra shift. Set a little time aside to look at mystery shopping, online surveys, I’m not claiming these things will make you millionaires but it’s worth a shot! Next Post Twinning Is Winning – A H&M Haul..